It’s the one area I was most concerned about. I knew I’d make countless mistakes as a mom, but this was something I needed to excel in! Though numerous other things my husband and I sought to teach our daughter were important, this was the only one with eternal implications. I knew, regardless of how kind or successful she became, when her time on earth ended, her good deeds would amount to naught if she wasn’t right with God. So, I started reading Scripture to her before she could walk or talk. We began with a picture Bible, then to one for toddlers, than for early readers, ending each night with prayer. This became our bedtime tradition, one that helped mold and train her little, impressionable heart. I was certain I had this parenting thing down! Until the questions started coming. Though I tried to respond with a confident smile, internally I was terrified. She’d been exposed to things that had caused questions to arise and I wasn’t sure how to respond. What if I answered her incorrectly or insufficiently and she turned away from the only faith that can save? And so I did. We began to look at why Scripture was credible, the problem with man-made religions and their failure to deal with sin, and more. We didn’t shy away from tough questions, and I learned not to fear them. In fact, I began to welcome them as I realized they offered wonderful teachable opportunities that, if handled well, could strengthen our daughter’s faith, draw her closer to her Savior, and deepen our relationship with one another as well. I wonder if Paul and Timothy offered similar prayers on behalf of the Ephesians as I had for our daughter. Knowing eternity was at stake, did they, like I had, feel a rising sense of panic? And did God say the same thing to them I sensed Him saying to me, back when our daughter was young and curious about false truths that promised a way to God but lacked the power to save? I’m not sure, but I do know what God instructed the young preacher through Paul: Read and thus reveal truth (Scripture). Encourage believers. Teach them. Keep a close eye on your teaching. (1 Tim. 4:16). Make sure it’s sound and true. I believe Paul is saying the same thing to us, especially if we have children or grandchildren. But even if we don’t, as Maria mentioned a couple weeks ago, we all have a sphere of influence. And we should continue teaching ourselves, so to speak, as we read Scripture daily, allowing it to encourage us, and prayerfully focus on making sure our doctrine is sound and true. This leads me to this week’s memory verse: If you’re a parent or grandparent, what are some ways you have or can focus on teaching your children or grandchildren truths revealed in Scripture? What are some ways you are working to teach yourself the same truths? Share your thoughts here or join the discussion in our online Bible study group which can be found HERE. Over the past two years I have been sick. You wouldn’t know it to look at me on most days. Most days I’m up before my kids, getting lunches fixed, working, and going about my daily life. I may look a little tired but most people don’t notice. If you asked me, I’d say “I’m fine” because to tell you what has transpired over the last two years would be too much for a five-minute conversation. There are days when I simply wanted to feel better, and in my mind I wasn’t asking for much. I’d cry out to God wondering why in the world this was happening but it felt like He was deaf to my tears, my suffering, and even my anger. I was frustrated at myself for getting sick and God for not taking it away. I read, I prayed, others prayed, and still nothing. Then finally, His answer–Wait! I didn’t get there overnight and some days I don’t rest here but for today, I can rest well knowing that God is bigger than whatever is wrong with me and whatever my diagnosis turns out to be. So waiting well sounds good, but how? How do I wait well when I feel lousy and I’m having a bad day? How do I wait well when I become frustrated at insurance and uncaring doctors? How do I wait well when it seems my cries to God for relief from the pain or just an answer seems to go unanswered? How do I wait well when I know that God could heal me if He wanted to but doesn’t? I don’t claim to have all the answers but I can share five things God has taught me thus far. Waiting well isn’t easy but it is something that God calls us to do, just ask Abraham or Noah, maybe Esther or David, or even Jesus. All of these people had to wait on God’s plan to unfold. 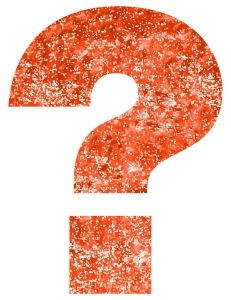 1) Realize it’s okay to question and get angry—just don’t stay there! Sometimes this is hard because there’s a very real struggle in keeping perspective when you are lonely, exhausted, in pain, or generally depressed. The emotions of the moment take over and judgement is clouded. Remembering the truth of what I know doesn’t negate my feelings but it tempers them long enough for me to gain perspective. The only real truth I know is God’s Word which leads me to number two. 2) Your lifeline as a believer is the Word of God. It is the only true and righteous place to find comfort and peace in times of wondering, wandering, and waiting. Scripture doesn’t always have specifics for every situation but it does have guiding principles for all situations. I know what God’s word says about waiting on Him. This is nourishment for an emaciated soul that doesn’t understand or needs to be quiet in times of chaos or simply needs direction in times of waiting. 3) Don’t be afraid to ask for help. As believers we are a community and there are brothers and sisters in Christ who desire to minister to you. Don’t steal that blessing. (P.S. I fail at this often!) There are others who are walking in this life with you and desire to be a part of what is going on in your life. Pick and choose wisely who these people are going to be for you. Believers whom you trust can serve you well in your wait. Whatever we are waiting on, someone has walked this road before and it is easy to forget that in the moment. 4) Keep doing! -don’t allow whatever you’re waiting for to stagnant your ministry or your life. God has created you for something, allow Him to keep working in your waiting. Whether you are waiting on a diagnosis, a spouse, or a different pay check God is fully aware. Situations don’t determine your usefulness to God. He can use you, just the way you are-just where you are. With that said, a new season or situation brings about opportunity and sometimes in ways you never expected. The last thing for me is sometimes the hardest, next to asking for help. 5) Keep an eternal perspective. Romans 8:28. “All things work together for the good of those who love the Lord.” This is our hope that there is more than just the waiting. God is ALWAYS doing something. Keep in mind it may not be what you expected or even what you wanted but He is doing something in your or in someone else that is watching you. Be reminded and encouraged He is faithful even in the waiting, allow Him to work and move, and don’t allow what you are waiting on to steal your first love. In your moments of waiting, take heart that God has never left you there. Dr. Leslie Umstattd was born and raised in Alabama with her high school years being spent in Fairfax, VA. She graduated from the University of Alabama with a business degree. While there, God called her into full time ministry so she moved to Texas to go to seminary after graduation. She graduated from Southwestern Seminary in Fort Worth with my Masters in Religious Education and Marriage and Family Counseling and also met her husband there. They’ve been married for fifteen years and have two beautiful daughters, Ashtin is 13 and Jordan is 10. After graduation from seminary, she worked in the public and private school sector as an elementary teacher until she moved to Kansas City. After moving to Kansas City, she completed my DEdMin at Midwestern Seminary. She’s been teaching and doing online development work for Midwestern for several years and serves at her local church on staff as the Children’s Ministry Director and heading up their women’s ministry. 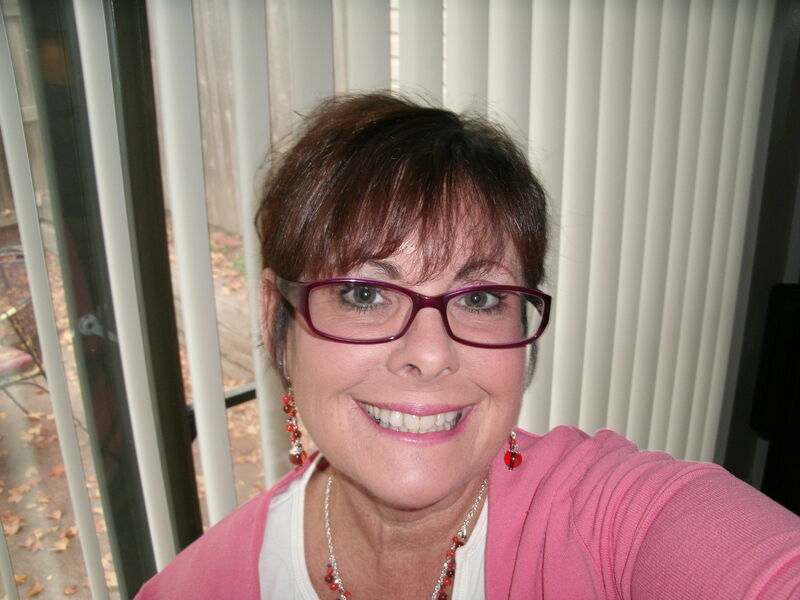 A couple of times a month she guest writes for a women’s devotional blog, Gracefully Truthful. Let’s talk about this! Are you in a time of waiting? If so, which of Leslie’s suggestions resonated with you most? If you’ve come through a time of waiting, do you have any advice to share with others who might be in a tough and uncertain season? Share your thoughts with us in the comments below or at Living by Grace on Facebook, because we can all encourage and learn from each other. When a biblical character hits me, stays with me for months, and fills me with questions that draw me, daily, deeper into Scripture, I’ve learned to take notice. And to hit my knees, because often, God is about to do something. This happened six or seven years ago, when I became fascinated with Joseph (from Genesis), and I had a quiet yet steady niggling–hold tight. You’re about to be trained. I soon realized how true that was as, for the next few years, God hit me with challenge after challenge. Not exactly fun times but oh, so necessary. Fast forward a few–or seven–years, and a character flaw became more and more apparent–a selfishness, or perhaps self-obsession, had begun to rise. So I prayed for God to help me close my ears to accolades and expectations, turn my heart from sales numbers and worldly success, and to daily offer myself on the alter (Romans 12:1-2) so that Christ might shine, unhindered, through me. Around this time, I visited a friend’s church–just once, mind you, rather coincidentally, or so one might think. As I sat there, rather distracted by my tumbling thoughts, one word caught my attention: deflect. Deflect, spoken in reference to John the Baptist, a man whose life exemplified his famous quote, “He must become greater; I must become less” (John 3:30 NIV). A statement that is easy to make but oh so hard to live. Yet so very necessary, because Christ is worthy, amen? And His mission–the mission He’s assigned each of us–is worth it. So much is at stake. Everything we do or say creates an eternal impact. We’re either drawing others to Christ or pushing them further away. We’re either exemplifying what it means to love as He did or we’re consumed with self. We’re either revealing God’s amazing grace or we’re distorting it. You and I, we were created with purpose for a purpose; a glorious, eternal purpose. And yet, we’re still being created as God removes everything within us that gets in His way and sharpens and hones those things that further His kingdom. That, my sweet brothers and sisters, is where this study comes in. Join me and some of my most cherished blogging friends for the next two and a half months as we take an indepth look at the life of John the Baptist. Not only will we be digging deep into Scripture and discussing how it applies to our lives today, but we’ll also be sharing some Bible study methods to enable you to glean God’s truth from your own reading. You can join discussions here, and we also invite you to interact with one another on Facebook in our John Study Group. On the 22nd, Susan Aken will talk about a painful time in her life when it felt as if she’d be waiting forever, and what happened when that waiting ended. Finally (for the month of September), on the 29th, my guest Candee Fick will talk about how as parents and grandparents can raise children who deflect (live lives that point others to Christ). I hope you’ll join us, because as iron sharpens iron (Proverbs 27:17), we can all learn from and teach one another. Let’s talk about this. Can you relate to my steady tug? When has a biblical story or character fascinated you and resulted in an extended study? Did you find God used that person or story to teach or show you something? How about John that Baptist–have you spent much time studying his life? What intrigues or inspires you most about him? Share your thoughts here with us in the comments below or on Facebook at Living by Grace. In the meantime, if you’re looking for a chuckle (at my expense), pop on over to Modern Day Mishaps to read how I almost became Trapped in Atlanta, and how God preemptively saved me from my scatterbrained mess. Today my sweet friend and fellow Yahoo Bible study member, Beth Farley, is back talking about a verse I have long loved. The Word of God is unlike any other book we will ever encounter. Hebrews 4:12 tells us it is “living and active,” and I’ve found this to be quite true. When we open God’s Word, the Holy Spirit comes along side us, making our reading a two-way communication between us and our Creator. At times, certain verses will appear to jump out at us, drawing our hearts or pricking our conscious. At other times, a passage will evoke a strong desire to stop what we are doing and pray. And yet other times, a verse or passage will prick a curiosity–no, more like a yearning–to go deeper, searching for the truth and heart of God. Our time in Scripture can become many things, but it is never, never intended to be a solitary or mindless affair. To the contrary! It is to be an intimate love affair between us and our Creator. I did some digging and I can only pray that I am on target. For you that are participating in this study, if I am way off, please forgive me. If I am on target, Yay! Please, please share your comments. Let me try to break it down. It is the glory of God to conceal a thing – This has been understood as referring to the revelation of God’s will in his word. We have been talking every week and praying that we would all seek out God’s will for our lives and do what He wants. There are some things that are hidden from us such as parables, allegories, metaphors so that we will continue to seek but His will is always readily available for us to see…if…we open our eyes and hearts. In order to know God’s will we must really spend time with HIM and really get serious about studying HIS word…Before I became ill, I went through another rebellious time of not being serious about staying the Word of God. I read it from time to time, but I was not intent on studying it and applying it. I know that being in God’s Word is His will for my life, no matter what! I am really ashamed of how I can get so lethargic in spending time in the Bible. When raising my kids, I was in the Word every morning. 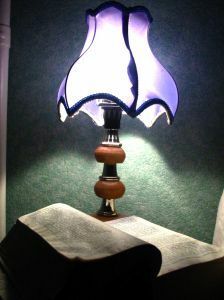 My children would wake up and find me on the couch, by the fire, with Bible and paper in hand. Now that they are adults they comment about it in positive ways. Back then though, they didn’t like it because it was taking time from them. I am thankful that I never gave up on that time with Him when they were in the house. When I got divorced, and let me tell you, God was right there with me as I went through that difficult time in my life; He didn’t give up on me, but I gave up on being in the Word. When I had to move, I struggled finding a new trustworthy church that I could step into and they would not judge me because I was divorced. I carried that “D” on my forehead. I carried it way too long. I rebelled and stayed away from the Bible. I was hurt, broken, lonely and scared. How would I have ever known what he wanted from me if I didn’t seek him daily? His will was to know that I was walking in forgiveness and no condemnation. “Therefore there is now no condemnation for those who are in Christ Jesus” (Romans 8:1). I don’t know why I have through my rebellious times. It irritates me. I am not proud of the few times that I have turned my back on God. I was not ever angry, just lazy, stubborn and scared. Come to think of it though, I can think of more times that I have remained in the Word than times when I shut the Word out. That’s a good thing. I guess I shouldn’t dwell on the negative here but rather the positive. So again, if I am off on my interpretation of the verse, please set me straight. I am not one that is so prideful that I can’t be set straight on things. I am one that wants to learn as much as I can about God and stay committed to Him; allowing Him to reveal His will for me each and every day. How about you? Do you have times when you’ve taken a dive in your commitment to reading and studying His word? If so, what helped put you back on track? I know we are coming to an end of our study shortly, and I want to remind you that the prayer board is still open. If you have something you would like for us to pray about, please let me know; if you have a personal request and would like to just share it with me, I would be honored to pray. I can’t tell you what I would have done without the many who have prayed for me over the years at different times of my life. The power of prayer; it’s a beautiful thing. The power of the WORD; it’s a beautiful thing. Beth Ann Farley is a dear friend of mine and one of our Yahoo Bible Study group members. She is married with three grown children. She lives in Kansas City, MO where she serves as librarian. She loves to read, write, decorate and spend as much time as possible outside with her Peek-A-Poo. Beth is a lover of the Lord. “He is my-everything and I can’t start a day without visiting with Him.” Beth came to know the Lord when she was 30 years old and has served Him on committee’s such as Missions Outreach, Local Missions, Diaconate Committee, Youth Committee, and was a church secretary for several years. Beth loves Women’s Bible Studies, has hosted several in each one of her homes that she has lived in and has led a few as well. Beth is now taking time in life to move forward with her writing in whatever way God directs her. Let’s talk about this. When reading your Bible, do you allow yourself enough time to really absorb what you are reading? To pray over what you have read? What are some tools you use to dig deeper into a passage? 1. Begin with prayer, asking the Holy Spirit to use His Word to speak to you, guide you, correct, and grow you, then, read expecting God to communicate with you. 2. Ask questions: Who was the original audience? Who wrote the passage? What might the passage have meant to the original audience? (Sometimes these questions lead to a bit of a historical investigation.) What is the universal and/or timeless truth revealed in this verse or passage? What does this verse or passage show me about God (His character, heart, desires, etc)? What does this verse or passage show me about myself? Is there a specific action I can take or that this verse or passage points to? 3. Follow bunny trails. 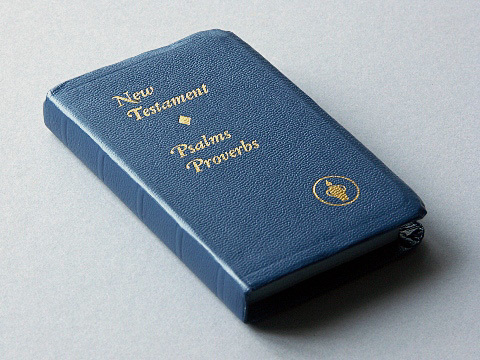 🙂 Many Bibles have foot notes or verse references in the inner or outer columns of the text. If a passage mentions a previous account or character in the Bible, take the time to review the event/person referenced. If you notice a verse reference in the text, footnotes, or inner or outer columns, take time to read the correlating/supporting verses. Do you have any other tools or resources you like to use to go deeper into Scripture? Tell us about them! In Matthew chapter 13, Jesus equates the kingdom of heaven to a mustard seed, a tiny seed which, when sown, grows into a large tree–a tree that produces perhaps a million seeds. Although I’ve never seen a mustard tree, our yard has plenty of dandelions. Christians, like those tiny tufts carried by the wind, are meant to multiply, exponentially. Today’s story by Yvonne Blake gives us a glimmer of “grace-ematics.” It also reminds me how privileged we are to have easy access to God’s Word. With privilege comes responsibility for to him who much is given, much is required. May we never take this privilege for granted and may we surrender each gift, each privilege, to the hands of our Father, to be multiplied according to His sovereign grace. Five years ago, I had the privilege of meeting Fernando Angeles, a man who grew up in a small village in the eastern mountains of Mexico. 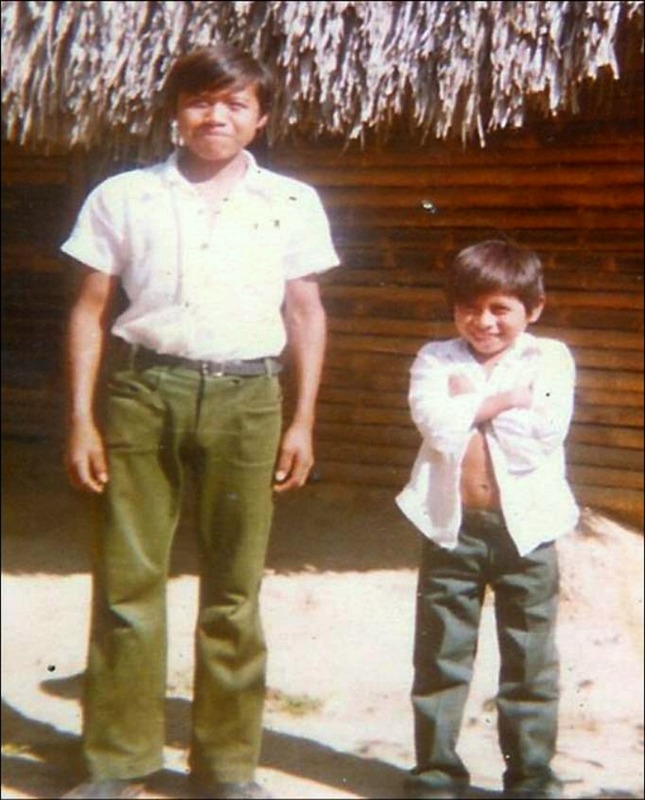 As a child, Nando spoke Tenek (an oral language at that time) and only heard about God in Latin or Spanish. 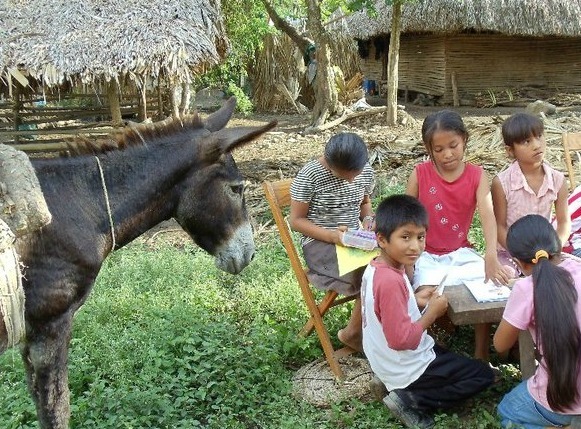 After he had gone away to school and learned to read Spanish, he was given a New Testament. He read the entire book in ten months and learned that salvation didn’t come from being good and following rules, but by believing in Jesus’ gift of eternal life. He went to Bible school and later to the United States to learn more. Now, he and his wife, Christy, minister to his own people. They are also translating the Bible into Tenek so others can hear Christ speaking in their own language. I have written about Nando’s Bible, and I had the privilege of teaching it to our VBS this summer. I am hoping to publish it soon so that young people will see the need to reach out to those around the world who have never heard the Gospel in their own language. 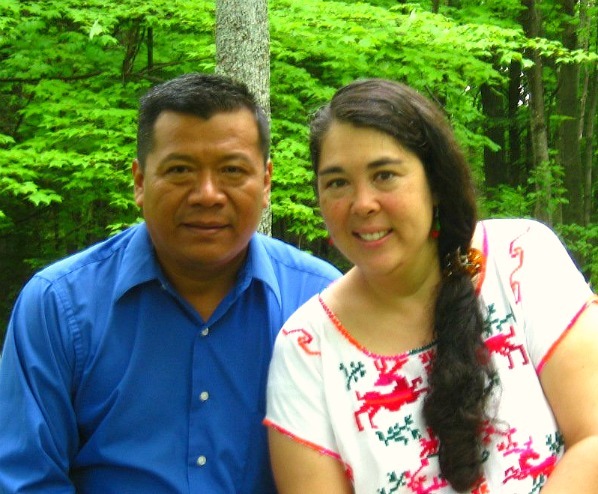 Pray for Fernando and Christy Angeles, facing the darkness of sin while they strive to reach the Tenek people of Mexico. God has blessed Yvonne Blake with an interesting childhood. She has lived in the deserts of Arizona, the tropic islands of the Bahamas, the rugged hills of New York, the farmlands of mid-Maine. Her husband is her steady rock, loving his Lord and family. Raising a family of eight children, in Searsport, Maine, has been her focus over the last thirty years,which gives her storerooms of material to draw from. Striving to do their best regardless of the opinions of others, they have often lived out of step with the rest of the world. Now that her children have grown, she has chosen to stay home and write, releasing all the stories bottled in her mind. Her prayer is to be used of the Lord, to encourage and bless others with her writing. Yesterday while surfing the internet I stumbled across some disturbing information on an evangelical personality I once admired. It seems, if the articles are true, this individual has wandered from the faith and is preaching a message contrary to the gospel. I’ve seen this happen before, and not just among public figures. As people “mature” in their faith, often they’ll slide into one of two extremes: either they’ll fall too far into grace, denying justice; or they’ll surround themselves with rules and regulations. Both extremes are dangerous and contrary to the truth, and I can’t help but wonder if both are rooted in human pride. Human pride elevates man to the extent that justice seems unheard of, or, on the other extreme, elevates man to the extent that he thinks he can somehow earn God’s favor. And yet, I think this tendency reveals an even deeper issue–man’s depravity. From the beginning of time, man has rebelled against truth, finding ways to twist it to fit our agenda and understanding. The moment we think we are above this–the moment we begin to rely on our understanding, we are in danger of falling. So how can we avoid this delusional progression? 1. Approach God’s Word with humility. I think one of our greatest faults, as humans, lies in the need to understand, and explain everything. Not everything has an explanation, and if the explanation isn’t there and we assign one, we are crossing the line and elevating man. That isn’t to say we shouldn’t discuss biblical passages and theological issues, but we must do so with a heavy dose of humility, being careful not to make the Bible say what it doesn’t say. 2. We must understand that the Bible is a unit. One of the first things I learned at Calvary was the need to read biblical passages in terms of context. We quote so many verses out of context, often assigning meanings that were never intended. This, again, elevates man by conforming the Bible to fit our ideas instead of conforming our ideas to the Bible. Lately I’ve noticed a trend to deny the existence of hell. To do so, you must throw out large portions of the Bible. You must throw out direct quotes from Jesus. And any time you start cherry picking which truths you rely on, you’ve become your own God. You’ve become your own basis for truth. Considering the human heart is deceptive, that is a very dangerous place to be. I’ve also noticed the opposite side of this trend emerge–those who want to assign rules and regulations God never intended. This also elevates man. 3. Recognize your ability to err. It often amazes me how much I thought I knew before I started taking Bible classes. The first thing I learned was half of what I thought I knew I really didn’t know, and the more I learn, the more I realize I don’t know. That doesn’t mean I throw my hands up in nihilism, but it does mean I speak with humility, recognizing that I could very easily be wrong. It also means, at times, I keep my mouth shut. 4. Recognize your position before a Holy God. We speak so casually about eternal things. God will hold us accountable for every casual word spoken. 5. Stay in community. Isolation leads to deception. If everyone else in your Bible study disagrees with you, consider the possibility that you are the one in error. If you are feeling tempted to pull away and isolate, recognize this is not from God. God desires believers to live in community. Satan wants us to live in isolation because then we are wide open for attack. This doesn’t mean we will always agree with everything our church or church members believe, but even when we disagree, we should do so with a healthy dose of humility, recognizing that we very well could be wrong. I have a mentor. She acts as my safeguard. She doesn’t care how many people read my blog, how many articles I sell, or if I write the next best seller. She cares about one thing–my walk with Christ, and she’s committed to hold me accountable. 6. Pray, pray, pray. I’ve shared before, but I often pray Romans 12:1-2 out loud, asking God to daily transform my thinking, helping me resist the downward spiral of cultural influences. My desire is not that I would conform to the practices, ideologies, and opinions of the world around me, but instead, that I would be daily transformed by the renewal of my mind, so that I will know and understand God’s good, pleasing and perfect will.